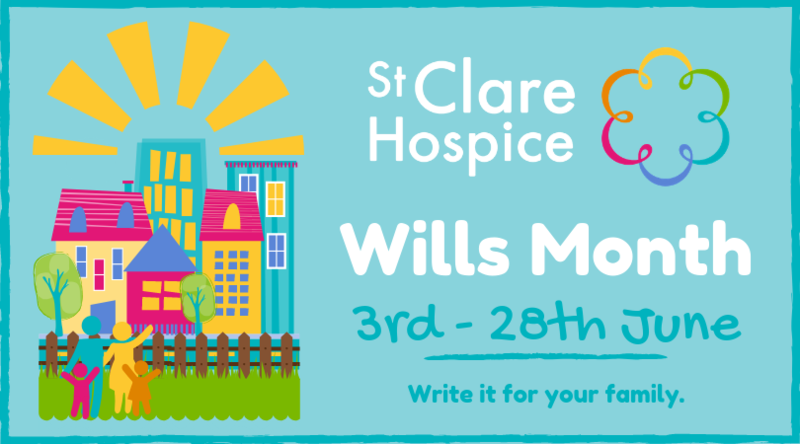 This June, in partnership with eight local solicitors’ offices, St Clare Hospice is inviting everyone in West Essex and East Herts to make or amend their Will during their annual Wills Month, which is running from Monday 3rd June – Friday 28th June 2019. “All of us want to secure the best possible future for our families,” says Sarah Thompson, CEO at St Clare Hospice. “However, making a Will is not often the first thing on our list when we think of how we can ensure our loved ones are cared for,” Sarah continues. “More than half of adults living in the UK admit that they do not have a Will. Yet, making a Will is one of the most important things you can do to make sure your family is cared for in the future. “Having a Will in place ensures that you will be able to provide for your loved ones, spouse and children after you are gone,” explains Sarah. For a suggested minimum donation to St Clare, you will be able to make one of the most important documents in your life with a local solicitor; the entire cost of this will be donated to your local Hospice. The suggested minimum donations are: £130 for a Single Will; £180 for a Double Will; £90 for an amended Will. To book an appointment, please get in touch with any of the eight participating solicitors. Booking is now open – just be sure to mention ‘St Clare’s Wills Month’ when you make your appointment.